A ninth critically endangered black rhino has been reported dead after a botched operation to move the animals to a new reserve in southern Kenya, the country's tourism minister said on Tuesday. 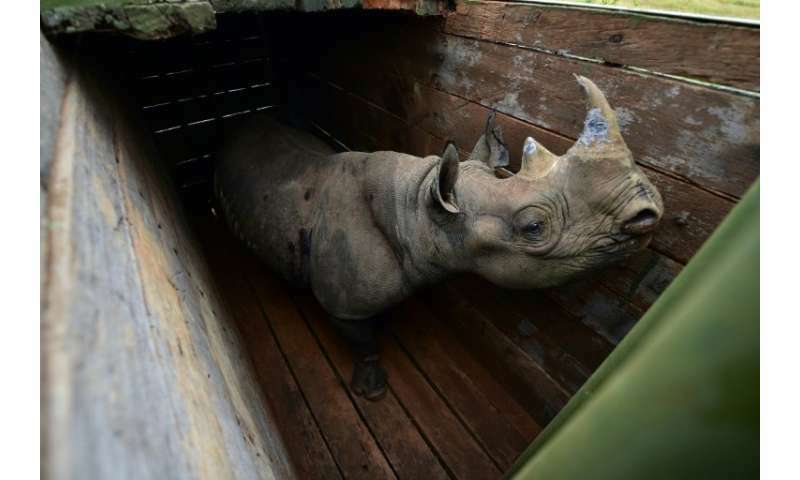 Eight rhinos were initially reported by officials to have died following last month's attempt to transfer 11 of the animals from Nairobi and Lake Nakuru national parks to Tsavo East. Police detectives have now been brought in and given one week to determine what caused the deaths, said Tourism Minister Najib Balala at a briefing in Nairobi. "Nine of them died due to reasons we are still investigating. The preliminary report that we got from the experts from Kenya Wildlife Service was saying it's the saline water" they drank, he added. The minister confirmed that he had seen the 18 horns that belonged to the dead animals and that none had gone missing following the fatalities. "The beauty is that all these horns have transmitters and electronic chips," he said.